WHEN YOU USE OUR SERVICES, YOU AGREE TO BE BOUND BY OUR TERMS AND CONDITIONS. YOU ALSO AGREE THAT WE MAY USE AND DISCLOSE YOUR PERSONAL INFORMATION AS DESCRIBED IN THIS POLICY. If you do not consent to these terms, you should not use the Services or otherwise provide us with any personal information. Please note, however, that we may obtain separate consents from you (or provide separate notices or terms and conditions to you) regarding particular uses or disclosures of personal information. To the extent that there is any conflict between this Policy and any such separate consents, notices, or terms and conditions the separate consent, notice, or terms and conditions will control. In this Policy, “personal information” generally means any information that could allow someone to identify or contact you or your computing device. Such information includes, for example, your name; email address; phone number; home, postal or other physical address; other contact information; birth date; gender; occupation; industry; payment or identity verification information; and Internet Protocol (“IP”) address. The term does not, however, include information that cannot reasonably be used to identify you, such as aggregated or anonymous information. 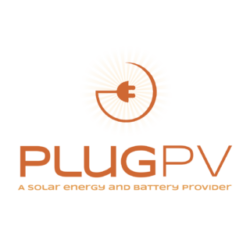 Plug PV may use your personal information in order to provide the services, to deliver advertising content to you, and otherwise for our everyday business. Although we will not sell your personal information, there are times when we will provide your personal information to third parties in order to provide the Services, and for other reasons. We will share certain personal information with third parties to carry out our everyday business activities, such as customizing a quote for you, processing your order, servicing your account, providing you with personalized accounts available through our applications and websites, communicating with you and providing you with excellent customer service. For example, if you request a quote, we will ask you to give us certain personal information (such as your name, email address and phone number the name of your utility and your electricity usage) in order for us to prepare a personalized quote for your home. We may also contact you by phone, regular mail and email regarding information about pricing, financing, offers, promotions, rebates and tax credits. If you purchase solar, we will communicate with you via phone, regular mail and electronic mail regarding your account and solar system either directly or through a third party service provider. For example, we may contact you regarding payments, customer support or your solar system installation. We may also send you correspondence via regular and electronic mail regarding offers and promotions available to you. We may collect information about your transactions with us, the features of any order for product or service that you place with us and any specific instructions you give regarding a purchase or service. We may also collect information from you in other ways, such as when you correspond with us, participate in an online survey or contact an installer in our network of preferred installers, our referral partners. If you enroll or participate in our referral programs or a person or entity earns a referral fee as a result of referring you, we will ask you to give us certain personal information, including your name, home address, and email address, in order to administer the program. We also may share such information with third parties, such as the referrer, in order to administer the referral program(s). We also may use such information to communicate with you via phone and regular and electronic mail regarding your account, offers, promotions, payments and where applicable, tax information. We may share your personal information to third parties who help us (e.g., service providers, information technology providers, mailing and other business process providers, outsourcing providers, analytic data service providers, etc.) to operate and improve our business. 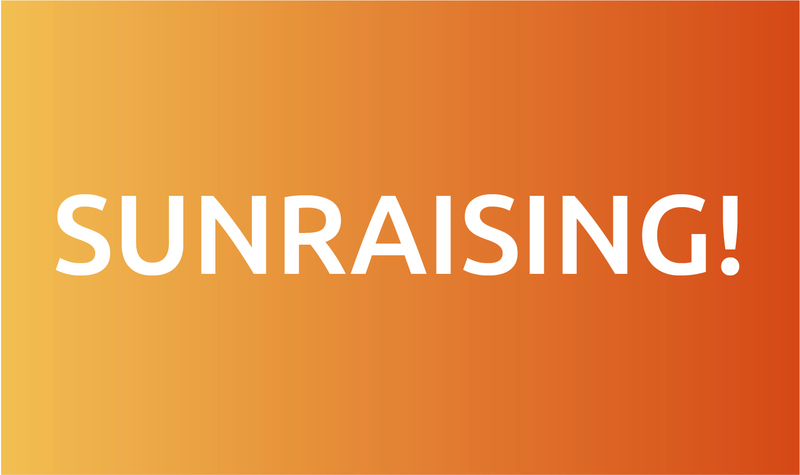 We may share certain personal information, such as your name, email, mailing and property addresses and your solar agreement terms with third parties for purposes of our or their marketing and research. As discussed in more detail below (see “Cookies and Other Technologies”), we may collect information about you through the use of “cookies” or similar information-gathering tools. The information that we may collect with cookies and similar tools includes standard information from your web browser and/or mobile device (such as unique mobile device identifier, browser type, browser version, and browser language), your IP address, and the actions you take, such as the webpages you view and the links or advertisements you click. We also may use and disclose technical information about your account, such as your user name, password, password reminder questions and answers, and communication preferences in order to operate the Services, to enable you to have a personalized experience with the Services, and for the other reasons described herein. We may use your personal information create de-identified, anonymized, aggregated or similar non-personally identifiable data, which we generally may disclose to third parties and otherwise use for any lawful business purpose. to exercise or perform a legal, ethical, contractual or other right or obligation, including enforcing an agreement you or a client made; or in accordance with your express instructions or for such other lawful purposes as may be disclosed or evident at the time that you provide personal information to us (e.g., when you provide personal information in response to a survey, to sign up for an event, or to register for a newsletter). It is not possible, however, for us to list every lawful use that we might make of personal information, so the uses and disclosures described above are general, non-exclusive, illustrations. We reserve the right to engage in any lawful use or disclosure of personal information that is consistent with this Policy, but we will not engage in any of the uses described above to the extent that they are prohibited by applicable law. When you visit our website, we collect and store the name of the domain and host from which you accessed the site, your public IP address, the browser software and operating system you used, the date and time you accessed the site, cookie information and all pages within the website which you access. Small data files called “cookies” are also placed on your computer, which enable various functions of our website, make it easier for you to view various site pages and allow us to identify your device, recognize you as a returning user and bring you advertising both on and off of our websites. We use both “session ID cookies” and “persistent cookies.” Session ID cookies are used to store information while you are logged into your account and expire when you close your browser. Persistent cookies are used to make tasks easier for returning users by remembering a user’s login information. Persistent cookies stay on your hard drive from one session to the next. If you do not want to receive cookies, you can change your browser or mobile device settings, though this may change your browsing experience or interfere with your use of our Services. In addition to these cookies, we also may use other standard Internet technology, such as web beacons and similar technologies, to track your use of the Services. Web beacons (sometimes called transparent GIFs, clear GIFs, or web bugs) are small strings of code that provide a way for us to deliver a small (usually invisible) graphic image on a web page or in an email. Web beacons can recognize certain types of information on your computer, such as cookies, the time and date a page is viewed, and a description of the page where the web beacon is placed. We may use web beacons to improve your experience with the Services, including to provide you with content customized to your interests and to understand whether users read email messages and click on links contained within those messages so that the Services can deliver relevant content. Our web beacons may collect some contact information (for example, the email address associated with an email message that contains a web beacon). The Services also may include third-party web beacons so that these third parties may receive auditing, research, and reporting information about advertisements viewed on the Services. Authentication: To recognize you if you are logged in to your account so we can personalize your experience and show you the right information. Security: To support or enable security features we have deployed, and to help us detect malicious activity and violations of our Terms and Conditions. Preferences, Features and Services: To know which language you prefer, what your communications preferences are. Cookies also help you fill out forms on our websites and provide you with features, insights and customized content through our plugins. Advertising: To show you advertising both on and off our websites. From time-to-time, we may engage third parties to track and analyze non-personally identifiable usage and volume statistical information from individuals who visit our websites. These third parties may place material on the services, such as banner ads, that allow the third party’s servers to place cookies in your web browser. Please note that we only can access cookies that we place on your browser, not the cookies sent to you by other companies. We also may use other third-party cookies to track the performance of our own advertisements. The information provided to third parties by means of these third party cookies does not include personal information, but this information may be re-associated with personal information after we receive it. Certain mobile devices contain unique identifiers that can be used, for example, to identify the physical location of such devices. Mobile devices also typically transmit caller ID data when used to transmit a telephone call or text message. The Services may collect, use, transmit, process and maintain unique identifiers, caller ID data, location-based data, and similar information when you rely on mobile devices, including to provide the services you request and improve your experience with the Services. The Services also may require collection of your mobile phone number in order for you to participate in certain services or features and that number may be associated with such information. If you initially consent to our collection of location information and change your mind, you can revoke your consent by changing the preferences on your mobile device. You also may stop our collection of location information by following the standard uninstall process to remove all of our applications from your device. We use what we believe to be commercially reasonable measures to protect your personal information from loss, misuse, or unauthorized access, disclosure, alteration or destruction. Nevertheless, please be advised that no security measure, system, or control is infallible. WE ACCORDINGLY DO NOT GUARANTEE THE SECURITY OR CONFIDENTIALITY OF PERSONAL INFORMATION AND DISCLAIM ANY EXPRESS OR IMPLIED WARRANTIES, DUTIES OR CONDITIONS IN THAT REGARD. If any applicable law imposes on us a duty with respect to these matters that cannot be disclaimed, you acknowledge and agree that our commercially reasonable precautions shall be considered to be satisfy that duty unless (and only unless) we have engaged in willful misconduct. While we strive to protect your personal information, please also note that you have a role in the security of your personal information. For example, you should not provide us with personal information that we do not request; you are responsible for controlling access to any personal computing device through which your personal information may be stored or accessed; and you are responsible for safeguarding any passwords or other log-in credentials to may be used to access to your personal information. If you provide us with information through our websites, such as when you obtain an iQuote, you must use a secure socket layer enabled browser, because we use industry standard secure socket layer encryption to protect the security of your information when it’s transmitted over the Internet. We urge you to take every precaution to protect your personal data when you are on the Internet. We suggest that, at a minimum, you change your passwords often, that your passwords include a combination of letters, numbers and special characters, and that you make certain you are using a secure browser. Products and services are available which can help give you privacy protection while navigating the Web. No part of the services is designed or directed to children. To use or provide personally identifiable information through the Services you must be at least 13 years of age. If you are under 13, please do not send any information about yourself to us, including your name, address, telephone number, or email address. If we learn that we have collected personal information from a person under age 13, we will delete that information promptly. If you believe that we might have any information from or about a person under the age of 13, please contact us as described below (see “Questions”). This Policy does not describe the practices of any other party that may have access to your personal information. To the extent that we provide your personal information to our agents or service providers, we take what we believe to be commercially reasonable steps to ensure that they safeguard the confidentiality of such information and use it only for the intended purposes. However, we are not responsible for the practices employed by any third party website that we may link to, nor for the information or content contained therein. When you click on one of these links, you are being transferred to a website operated by someone other than us, and the operator of that website may have different privacy practices. We encourage you to review the privacy statements of such other websites to understand their information practices and terms of service. If you do not want us to send you emails regarding offers and promotions, please follow the “unsubscribe” instructions at the bottom of those emails. In certain circumstances, we may provide you with advance notice of certain changes to this Policy and/or with an opportunity to object to such changes. If you exercise such a right to object, the changes will not become effective with respect to your information, but your ability to use our Services may be terminated or impaired. We will explicitly notify you of the consequences of objection or non-objection to the extent and in the manner required by law.